Valid at Yuvi Cafe Outlet. 1-On the 1st transaction customer will get flat Rs.150 movie cashback voucher valid on minimum booking of Rs.300. a. On the 2nd transaction the customer will get Rs.10 Paytm cash. b. On the 3rd transaction the customer will get Rs.10 Paytm cash. c. On the 4th transaction the customer will get Rs.10 Paytm cash. d. On the 5th transaction the customer will get Rs.20 Paytm cash. 2. 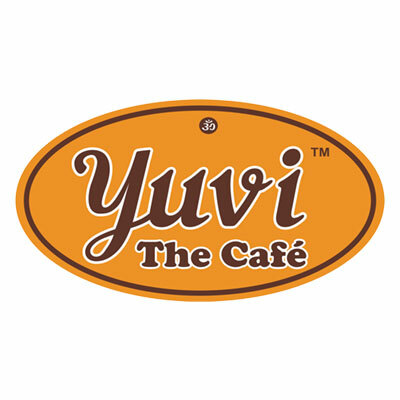 This offer is applicable only on payment of Rs.100 or more at Yuvi Cafe outlets through Paytm. 3. This offer can be availed only once per user. 4. Offer valid for In-store orders only. Offer is not valid on 3rd party apps/websites like Foodpanda, Swiggy, Zomato etc. 5. Offer is valid at Yuvi Cafe outlets for select customers only. If you do not receive Push notification against a transaction, then outlet is not covered under this offer. 6. After your first payment at Yuvi Cafe outlets, you will get an option to participate in this cashback offer. 7. Alternatively, after your first payment at Yuvi Cafe outlets. You will get a push notification to activate offer. You need to activate the offer from 'My Offers' in the 'Cashback Offers' section on Paytm App. 8. You need to complete 5 payments within 30 days to earn Rs.200 cashback. 9. On your first payment, the offer will be unlocked. You need to activate it to participate in it and complete the offer within 30 days. 10. Each reward will be received within 48 hours of completion of payment on which the reward is eligible. 11. If you have not completed your KYC, or have breached your monthly wallet limit, you will receive goldback (inclusive of 3% GST). 12. Paytm reserves its absolute right to withdraw and/or alter any terms and conditions of the offer at any time without prior notice. 13. Cashback will not be processed for NON-KYC users. Get your KYC done to receive the cashback. Visit http://m.p-y.tm/minkyc to do your KYC in a single click. Please ignore if already done. 1. Use unique movies voucher on your next movie ticket booking. 2. Flat Rs.150 cashback on booking movie tickets using Paytm. 3. The movie voucher can be used only once. 4. The minimum transaction value is Rs.300 required to use this movie voucher. 5. Movie voucher will be applicable on minimum 2 tickets booking. 6. Movie voucher will be valid for 30 days and it can be used after 24 hours of successful eligible transaction. 7. Please make sure to apply the Promo code before clicking on "Proceed to Pay". 8. If you have not completed your KYC or have breached your monthly wallet limit, you will receive Gold back (inclusive of 3% GST). 9. Paytm solely reserves the right to change offer terms at any time without prior notice to the customer.